Want to Charter a cruising Sailboat but lack the necessary experience? 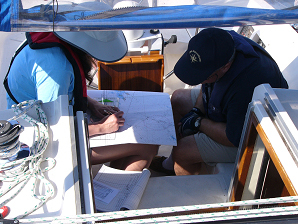 Put an experienced Sail Canada Instructor from Wavelength Sailing School on your chartered boat. While you cruise you can learn Sail Canada Basic Cruising. Already have Basic Cruising but want to take an Intermediate Course? Have lots of experience of keelboat cruising but lack Qualifications? What about crew members with different levels of experience? Wavelength can provide, Basic and Intermediate combined courses, so everyone can learn. Cruise and learn courses are a relaxed way of learning while enjoying the sailing and the many destinations that Kingston has to offer. We recommend you consider taking the theory part separately and have on-line video presentations and materials, so you can study at home rather than on the boat. Wavelength Sailing School has been established for 14 years in Kingston. They are a Sail Canada & International Yacht Training School and are recognised by Transport Canada as a Recreational Boating School. Over that time period they have taught over 120 courses in Kington and the Caribbean. All instructors are certified by Sail Canada and insured to teach up to Intermediate or Advanced level, all are also certified by other organizations (e.g. American Sailing Association, International Yacht Training and RYA) and know all the best spots in the Kingston-Thousand Islands-Prince Edward County area. Fees: The following is a fee outline. Fees will be directly quoted by the Sail Canada instructor. Radio operators Certificate (ROC(N) with DSC endorsement. 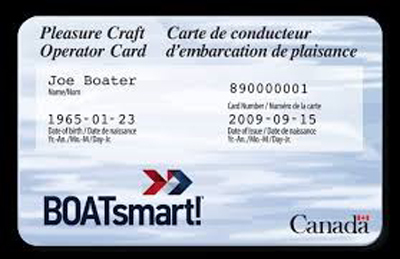 Required to charter a boat in many European Countries Includes on line study book, Exam, practical on water portion, certification and ICC card.